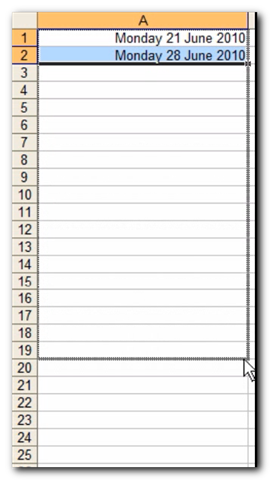 You already know that when you select a cell with a date and drag the Auto Fill handle, Excel creates a series of sequential dates by adding one day each time. Did you know that you can control how many days are added? Type two dates in two cells and select them. In this exemple, both dates are 7 days apart. Drag the Auto Fill handle. 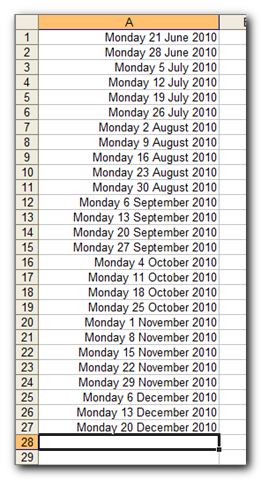 Excel creates a series of dates 7 days apart, as it identified the first dates to be. 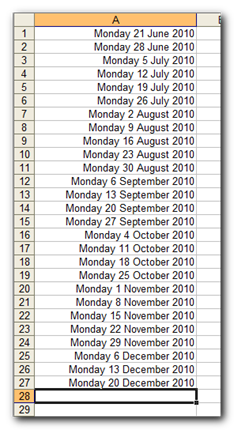 When you release the Auto Fill handle, the series of dates has been created.